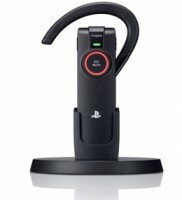 The official Wireless Headset unleashes even more entertainment opportunities on PlayStation 3, and will automatically pair with the PS3 with a USB cable. The Gold Wireless Stereo Headset delivers amazing depth and audio clarity, elevating your gaming experience with custom audio modes created by developers exclusively for PlayStation. The P11 gives you a significant advantage because you can hear sound cues others cant, so youll react faster and take them out before they take you out.